The 3-layer panel is made of spruce three ways. The top and bottom runs parallel and the middle board runs vertical which makes these board very strong and secure. 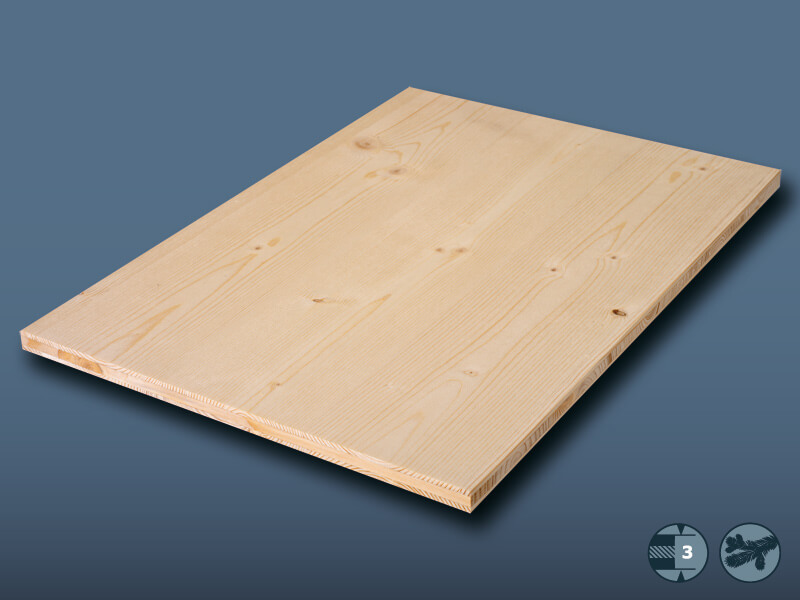 The boards can be used for kitchens, furniture, ceilings, walls, floors, drawers, windowsills and lots more.